Published: September 26, 2014 • Modified: November 5, 2018 • by Author: Analida • Word count:552 words. • About 3 minutes to read this article. Nothing is more comforting than the smell and taste of warm bread. This Moroccan country bread is plain, rustic, and simply delicious. The best thing is that you can have fresh bread in about 2 hours. Yup. that’s right!! No long rising time or excessive kneading. On the contrary, this bread thrives on little kneading to preserve its characteristic coarse texture. This bread making experience is sounding better and better, right? Moroccan country bread also freezes well in a resealable bag for up to a month. When defrosting, allow it to come to room temperature. 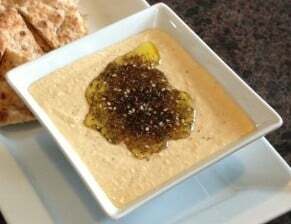 , a Middle Eastern blend of sumac, oregano, sesame seeds , and marjoram. Try it also with a nice piece of artisan cheese or just butter. Yum! Moroccan country bread is also known by its Arabic name Khobz Maghribi. The work khobz is the Arabic word for bread eaten in this region. Maghribi relates to the Maghrib or also spelled Maghreb is a region of NW Africa bordering the Mediterranean (Algeria, Tunisia, Libya, Morocco). 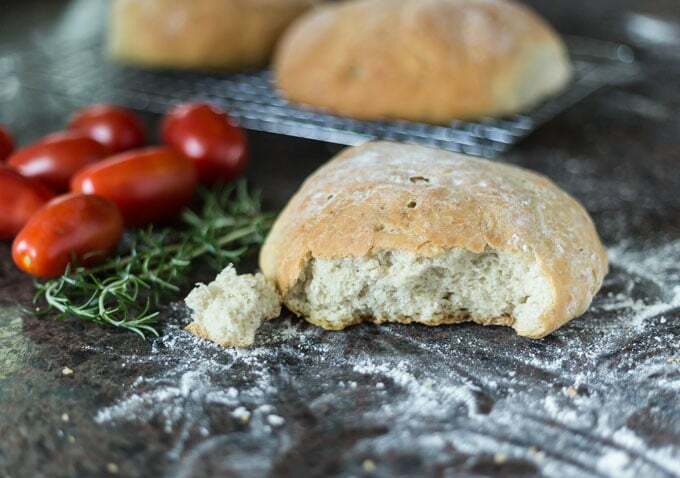 African breads tend to be simple, traditional and don’t require much preparation. 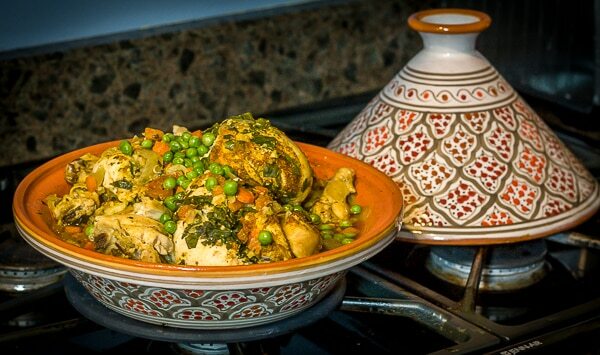 In a traditional Moroccan meal such as the tagine khobz replaces utensils. Cook up a nice dish of Moroccan chicken tagine or saffron chicken and you will have an authentic experience soaking up those flavors with this bread! Fantastic! Although khobz or Moroccan country bread is often referred to as a flat bread it is not really flat, but more similar to a regular loaf of bread wit a slightly domed top. Spicy North African lamb meatballs with dried apricots and mint in a tomato sauce. Tabouleh is a very fresh and healthy salad made with bulgur wheat, parsley tomato, onion and lemon juice. For dessert bake some of these super easy Middle Eastern style shortbread cookies with pistachios and rosewater. 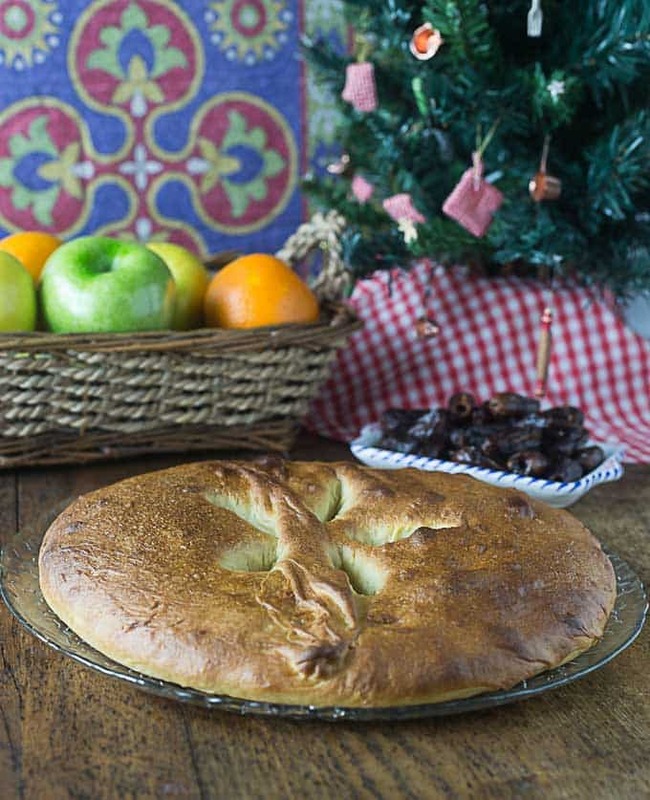 Here is a rustic bread to from Morocco also known by its Arabic name Khobz Maghrebi. This is an easy bread that comes together quickly with some very basic ingredients. You would typically serve this with a tagine type meal and use the bread as the utensil. * I recommend using a stand up mixture for this recipe. In a large bowl mix water and yeast and stir until dissolved. Add salt. Add 1 cup of flour at a time and mix until dough forms a ball. Turn ball on a floured surface and shape the dough into a 10" log. Shape each portion into a ball.and place on a floured board. Cover and let rise for about 1 hour. Brush each ball with olive oil and bake for 30 minutes on bottom rack. You always give such wonderful information on the dishes you present, Analida! It’s always fun to see how different parts of the world prepare bread, and this Moroccan one looks absolutely delicious! Thanks Ashley! I love finding out about the origins of foods. 🙂 Sure! I’ll be right over. 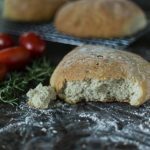 This bread looks really easy and delish! I can see making a nice big sandwich out of it too! Paige, it’s pretty easy to make. Give it a try! This is my kind of recipe. I love making homemade bread. Dipping it in delicious oils and spices is the perfect way to enjoy it too. We have a friend who is Moroccan but who has lived a big chunk of his live in France and his mother would make khobz du maghreb for us guests together with a crazy addictive tajine. You really made it look simple to prepare from scratch. This is my kind of recipe. Simple, Easy and Effortless. I love making bread at home and having been to Morocco I have tasted some of the beautiful Moroccan bread. This sounds delicious. Can’t wait to try. Veena, hope you get to try it soon. Thank you for your kind comments. I can see how well this bread would fit to shakshuka or anything saucy to soak up the juices! I’m totally making it! I really enjoy the info you share about the foods you share… I learn something each time! Thank you Michel for your kind words. I think part of the fun of enjoying new foods is learning about them. You make this sound so delicious, and so accessible! I love making homemade bread, but have really made much less of it since moving to Belgium, only because “regular” bread is so amazing and so easy to buy each day here from local bakeries. This would really be something special, though, and makes me want to go get busy in the kitchen right now! Monica, I am so jealous that you have access to wonderful bread every day. This is not the case in the US. Yes, by all means, try my Moroccan Country bread. It’s easy to make and so delicious. You’re right, this recipe does look so easy! I’d definitely want to dip it in one of the dishes you described. 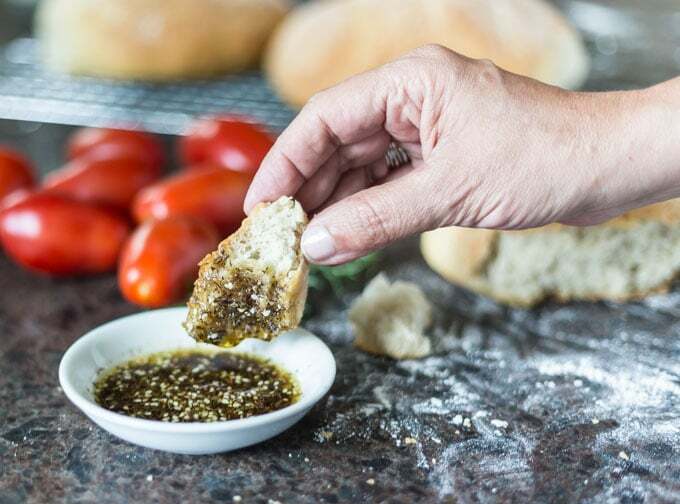 This looks delicious — especially dipped in that za’atar olive oil. One of my favorite spice blends for sure! I have been on a homemade bread kick lately and am so excited to try this recipe too! Looks like it would be great with a big bowl of soup.